1. 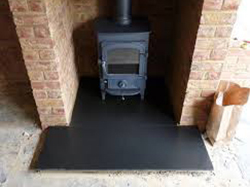 To Create the perfect look, your stove must fit the proportions of your fire place chamber, therefore, chamber size is important! 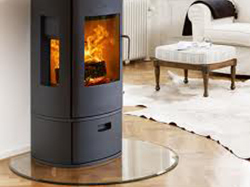 Consider the measurements of your stove and surround. 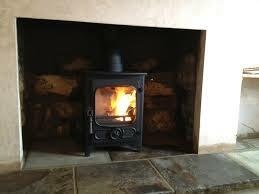 At Fire Crest Stoves we can adjust the size of your chamber to help create the asthetic you require. 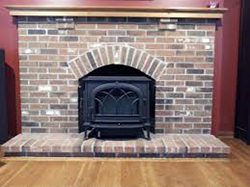 We can re- instate an old fireplace, build a new chamber or simply re-adjust the existing chamber to suits your needs. 2. The next point to consider is finish on the ‘Chamber Walls’. What are your options? A type of durable fire-board can be used to line the chamber walls which can then be painted which gives the effect of a smooth plaster finish. Alternatively we can fix brick slips and point to finish or even tiles if you prefer. For a simple look you can choose to have the existing masonry painted or if it’s a period property, clean and re-point brick work. You can see examples of these finishes on our gallery page. York Stone – Need we say more, perfect for inglenooks in particular but very expensive. 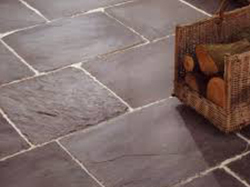 Riven Slate – this has a rustic cottage look, undulated slate which come in 600 x600 slabs, pointed in white or black to finish, it can be left a pastel midnight blue or oiled to a satin black. Honed slate – smooth matt finish, usually a ‘cut to order ’ one or two piece stone. Midnight blue pastel finish if left or oiled to a black satin – Looks great but can scratch! Not ideal if you have a dog which enjoys the heat as well! Brick hearths – either brick on edge or frog down for a slightly different pattern. Pointed to finish these are durable and effective. Honed granite – For a similar look, but without the scratches! Natural grey pastel finish or oiled to black. 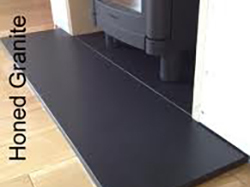 Glass hearths – mainly used with a wood flooring so to expose the wood floor below but acts as a safe and durable hearth. Now for a quick recap; We have created the opening, chosen the chamber walls and picked the hearth. What about the fire place surround? Neutral finish – plaster surround and keep it simple, great look on its own or if you cannot find what you are looking for but you have chosen the rest. The wooden surround – if the internal measurements are big enough can be used. 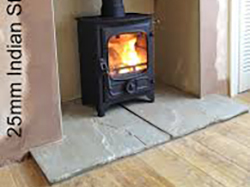 Stone – there is a wide range of new Stone or wooden fireplace surrounds to choose from, please contact us for more details to discuss our full range of options.